Does anyone remember Safeway? In its day, it had one of the best supermarket wine ranges in the UK: diverse, daring and invariably well selected. When the chain was taken over by Morrisons in March 2004, its then director of wine, Matthew Stubbs MW, was summoned to a meeting to conduct a range review. Stubbs assumed that there would be a month-long comparative tasting. Was Safeway’s Côtes du Rhône better than Morrisons’? Who had the better Rioja Crianza? And what about the more esoteric wines? Was there room for those? The tasting was much shorter than he anticipated. In fact, it wasn’t a tasting at all. It was just an exercise in comparing spreadsheets. Whose wine was cheaper, Morrisons’ bean counter wanted to know when there was duplication. As the answer was rarely Safeway’s, most of its range disappeared from Morrisons’ shelves. Stubbs never got to demonstrate that sometimes it’s worth paying a little more for superior quality. Ironically, Morrisons has a much better range today than it did then, so the discussion would be more fruitful now. I was reminded of that meeting in Hayes when I heard about the proposed “mega-merger” between Sainsbury’s and Asda this week. The £12billion deal between the two former rivals may not get past the Competition and Markets Authority, at least without the sale of some of the existing 2,800 stores, but it looks as if the Big Four are about to become the Big Three. Since Tesco joined forces with Booker last summer, almost anything goes in the new retail landscape. Inevitably, there will be a degree of rationalisation to create the “transformational opportunity” that Sainsbury’s chief executive Mike Coupe is so excited about, although redundancies are not part of this if the PR spin is to be believed. The two parties have identified potential cost savings of £500m based on improved efficiency and “better deals with suppliers”. Suppliers may not see it that way, of course. If it goes ahead, the new business will have a market share of 31.4%, bigger even than Tesco’s 27.6%. That will make it very powerful indeed, and in a position to dictate terms. As one large wine producer once put it: “There’s always a degree of give and take with large supermarkets. We give, and they take.” Readers who can remember or, far worse, experienced what went on at Tesco’s Orwellian-sounding Discounter House will know what he means. An abusive relationship is not a partnership. 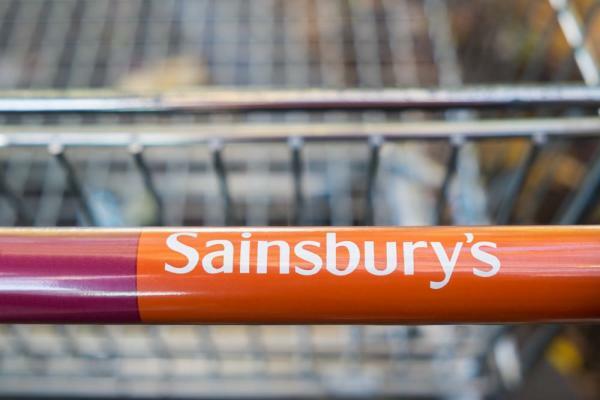 Lower prices, the current obsession of British retailing, will be another result of the deal, with Sainsbury’s talking about reductions of 10%. On the Today programme, Coupe said the merger would also allow the business to “improve quality and ranges”, but he is either being disingenuous or naïve. Cheaper prices hardly ever result in better quality, even with economies of scale. Most of the time, it really is true that you get what you pay for. What we are witnessing right now is a race to the bottom, prompted by the on-going success of the discounters and a tanking economy. The fact that Tesco is said to be planning a new discount grocery chain to compete with Aldi and Lidl merely confirms the trend. Having tasted my way through a range of Lidl’s wines last week – one of the most depressing line-ups I’ve ever sampled – it is hard to feel optimistic about this. Really cheap wine is rarely interesting and frequently unpalatable, made and bought to a recipe or merely sourced from the lowest bidder in a tender. Desperate people make desperate wines. How would a meeting between the wine departments of Asda and Sainsbury’s pan out? It partly depends on who has the upper hand. The signs so far are that Sainsbury’s will be the senior partner, based on the proposed split of shares, but who knows? What role will Asda’s current owner, Walmart, play? Is Sainsbury’s effectively taking over? Or will the two be run as separate businesses sharing logistics, expertise and, presumably, elements of the same supply chain? Of the two wine ranges, Sainsbury’s is the more interesting, but that’s not hard. Since Asda handed over buying to its sourcing and procurement arm, International Procurement & Logistics (IPL), effectively dispensing with wine expertise, its selection has been innocuous at best. If IPL is the future, find me a time machine and take me back 10 years. Sainsbury’s, on the other hand, has some good wines, not least from France and Italy, although its selection rarely quickens the pulse. Marks & Spencer, Waitrose and, on current form, Morrisons and Tesco all take wine more seriously than this pair. Call me a wizened old cynic, but I can’t see this new grocery supergroup being good for wine. Further consolidation in an industry that, in the last 20 years, has lost Bottoms Up, Cellar 5, Davison’s, Fuller’s, Safeway, Somerfield, Thresher and Victoria Wine from the high street will further reduce choice and put added pressure on suppliers to dance to a monotonous tune. More than ever, we need a strong independent sector to preserve diversity, quality and individuality. Next post: What have wine critics ever done for us?